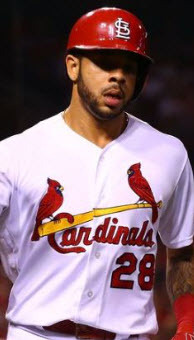 There are times when a player’s path to the major leagues is so perfectly paved, you would swear the Cardinals’ Marketing department had a hand in laying the stones. Such is the case with Memphis first baseman Luke Voit. Born just 30 miles west of St. Louis, Voit attended Lafayette High School in Wildwood, Missouri, the same school former Cardinal David Freese attended a decade before swatting the winning home run in Game 6 of the 2011 World Series. Afterwards, Voit stayed close to home and enrolled in Missouri State University in Springfield, MO. Home town boy – Check. 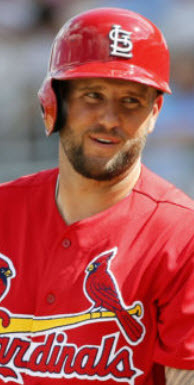 But while Freese was drafted in the 9th round of MLB’s amateur player draft in 2006, Voit was forced to claw his way up from first a 32nd round pick by Kansas City in 2009, and then a 22nd round pick in 2013 by the St. Louis Cardinals. He was never on the Cardinals’ radar, not as a serious prospect. His bat changed that in 2016 when he slashed .297/.372/.477 with 19 home runs in the familiar confines of Hammons Field – the stadium shared by the Double-A Springfield Cardinals and Voit’s own Missouri State Bears. 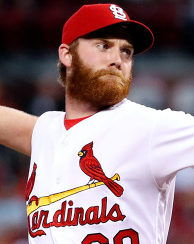 The Cardinals rewarded him with a promotion to their Triple-A affiliate, the Memphis Redbirds. Underdog success story – Check. And although the muscle-bound slugger wears number 35, after watching a bit of video, Voit’s swing and stance can’t help but remind fans of another slugger who wore number 25 – recent Cardinals’ Hall of Fame inductee Mark McGwire. 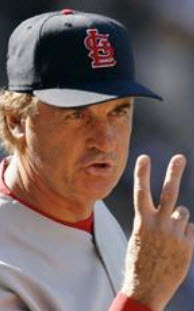 Inevitable comparison to a Cardinal HOFer – Check. Hell, Luke isn’t even his real name. It’s Louis…as in “St.” Louis. On second thought, I take it back. Even the St. Louis marketing mavens couldn’t make this stuff up. But all the comparisons and home town success stories in the world won’t help Voit get to the majors. He’ll have to do that on his own. By the looks of things, he’s taking care of business. 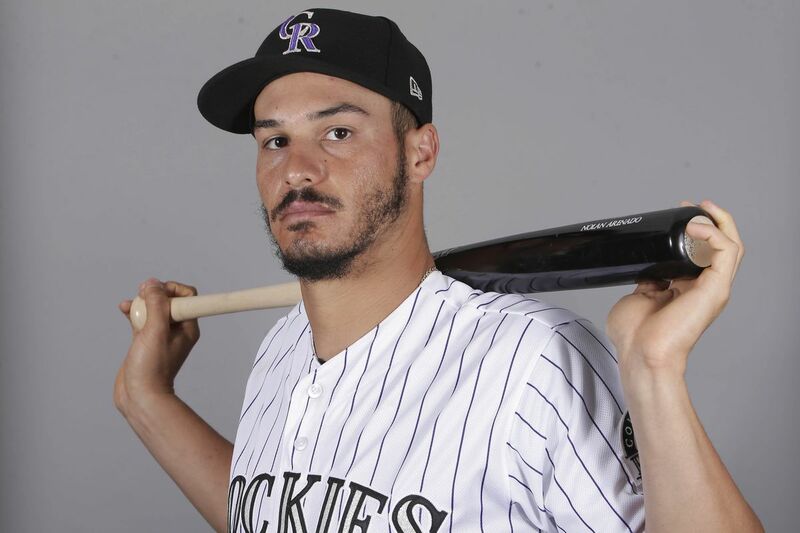 Through 26 games and 89 at-bats, the newly-minted prospect is hitting .348 with a .426 on-base percentage (OBP), .652 slugging percentage (SLG%) and six home runs. Those stats are good enough to lead the Redbirds in every category. In fact, most of Voit’s numbers rank in the top-10 in the entire Pacific Coast League (PCL), a league so well known for it’s prolific collection of intimidating batsmen that MLB organizations often fast-track their top PCL pitchers rather than expose them to a relentless gauntlet of offensive punishment. And yet, Voit doesn’t even make the Cardinals’ list of top-20 prospects. 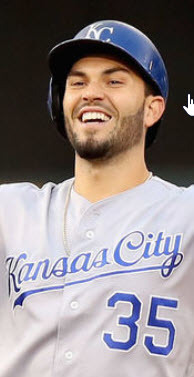 That may change after winning the organization’s minor league player of the month award for April, recognition that comes just seven months after winning the Texas League Player of the Month award at the end of the Double-A season last year. Those titles are made even more significant by the company he keeps. Currently, Voit is sharing a lineup with as many as five of the most talked about players in the Cardinals’ system. And third baseman Patrick Wisdom, who continues to flash a bat with power John Mozeliak called “impactful” and comparable to 40-home run slugger Todd Frazier. 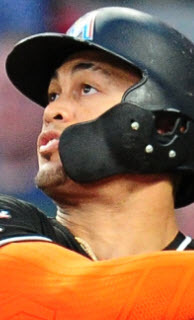 His five home runs and .549 SLG% threaten even Voit for supremacy, but it’s his .347 OBP and .286 batting average that may eventually get him a shot at the big league third base job. Consistency is key for Wisdom in 2017. Of course, there may be nothing Wisdom can do to pass fellow infielder Paul DeJong on the Cardinals’ depth chart. With a .300 average, .556 SLG%, and five home runs of his own, DeJong is keeping pace. His .326 OBP may be a sign of weakness, but versatility that allows him to play virtually every infield position will likely get him to the majors a tick faster than his colleagues. One of those colleagues, Harrison Bader, shares the list of top-20 Cardinals prospects with tenth-ranked DeJong, sitting comfortably in the number four slot. Bader, an outfielder with center field ability, is slashing .265/.365/.458 with four home runs through 26 games in Memphis. That’s an excellent start for a player currently blocked by outfielders Tommy Pham and Jose Martinez on the outfield depth chart. If he can continue developing in Triple-A while putting together a solid minor league season, that success could mean a September call-up with the big club. And finally, Carson Kelly rounds out the group as the organization’s top-ranked position prospect (#3). 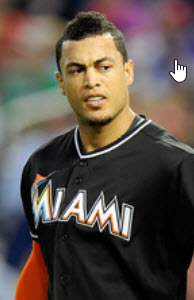 His .224 average is pedestrian, but four home runs, eight walks, and a .794 OPS suggest Kelly is just a week or so of good luck away from breaking out (his .231 BABIP is abnormally low). Besides, he’s not really there to hit. He’s there to catch…and catch and catch and catch some more. Because despite Yadier Molina’s new three-year deal, Kelly’s number one goal is to log as many innings as possible and continue to develop as a catcher. That’s a pack of hitters that’s pummeling pitchers with promising returns. Voit may lead them, but any one of these young stars could crack the major league roster at any moment. It’s depth the St. Louis Cardinals, criticized for a recently realized gap in prospect talent, didn’t expect to see on the position player side for another year, maybe two. But these early-comers are knocking on the door, and they’re bringing their bats with them. Call them…the Memphis Mafia Hitmen.